Perfect for the tradesman, every trade is covered. Forget expensive advertising and try our low-cost options for the plumber, electrician, cleaner, plasterer, double glazing, roofing, home security, carpenter (joinery, woodwork and workshop hire), gardener, DIY service, builder, painter and decorator. It works out to be much cheaper than posting your classified adverts in the press. Features include the option of adding a PayPal shopping cart, product photo gallery and video gallery. 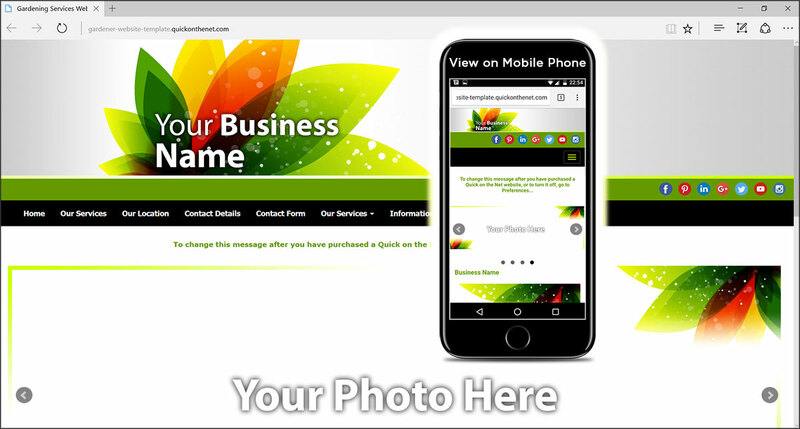 Every website includes a contact form, so new custoners can contact you directly.